BIRDS BEING BIRDS…well what else would they be? 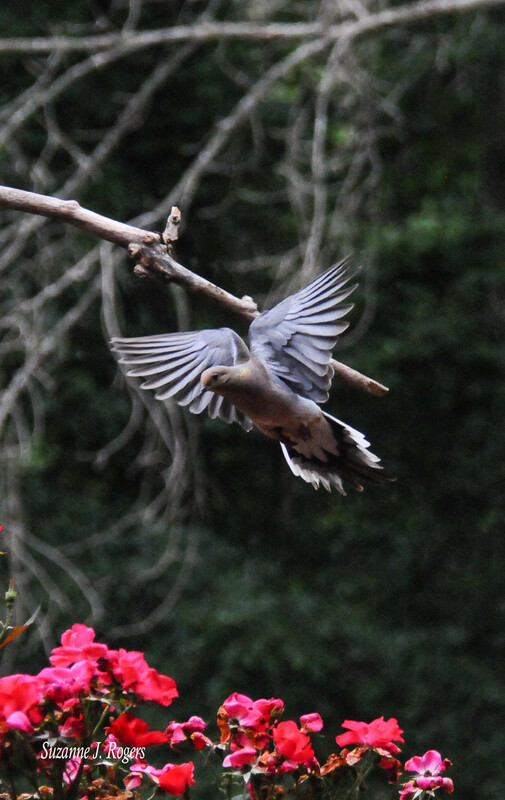 IN THE FIRST TWO IMAGES, THE MOURNING DOVE JUST PLUMMETS FROM THE SKY LIKE A LEAD BALLOON….WELL, ACTUALLY THEY’RE A LITTLE MORE GRACEFUL THAN THAT, BUT NOT MUCH. THEIR FEATHERS ARE PRETTY THOUGH AND THEY LOOK NICE AS THEY FLUTTER AROUND…BUT THEY’RE MORE THAN A LITTLE CLUMSY AT OTHER TIMES AND THEY JUST SEEM TO GALUMPH AROUND IN THE GRASS, YES, I SAID “GALUMPH”… I DON’T KNOW IF THAT’S A WORD, BUT THAT’S HOW THEY MOVE…THEY GALUMPH. THIS IS OUR FRIEND THE CARDINAL ONCE AGAIN…ON OUR SAFARI THROUGH T”A WINDOW INTO THE WOODS”, WE’VE SEEN THIS HANDSOME FELLOW AND HIS FRIENDS MANY, MANY TIMES…THIS ONE THOUGH..IS IT JUST ME, OR IS HIS HEAD ON BACKWARD?